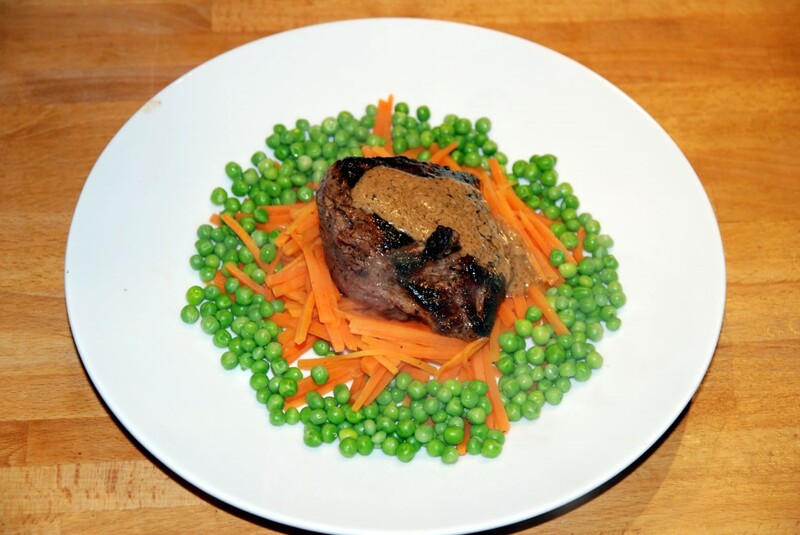 Fillet steak, seasoned, then fried 4 minutes each side in a lightly-oiled pan. Bit of butter added for last 30 seconds. Rested for five minutes on a warm plate. Sauce made by adding a splash of cream and a little of the carrot liquor and heating until slightly thickened, then adding the juice from the resting meat. Served with petit pois and carrot julienne simmered in apple juice until just starting to soften. This entry was posted in Beef by smithn. Bookmark the permalink. I definitely need some of that!! !